There is certainly not a one-size-fits all approach to disposable plastic bag ordinances. In order to implement a measure that will work for an individual city, a plastic bag ordinance needs to address the concerns of the people and function in a way they can be comfortable with. Here is your latest news on cities that are working to create their own, unique plastic bag ban ordinances. 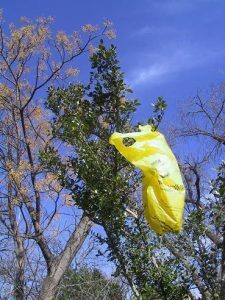 City council members in Bisbee, Arizona unanimously passed a voluntary disposable plastic bag ban ordinance back in December of 2012. The ban was structured to be voluntary for six months at which time the City Council and City Manager reviewed the measure, deemed it to be a success and extended the measure. The voluntary ban was getting the job done but in order to be more effective, the city passed an official plastic bag ban that began on April 22, 2014. The new measure prohibits retailers from providing single-use plastic bags and levies a 5-cent fee on paper bags. Recently, in March of this year the City Council voted to continue to keep this ban in place. The Bisbee journey has been so inspiring to watch because the City Council is careful to set aside time to reevaluate the measure and ensure it continues to be a good fit. This method may not work for every city, but it works for Bisbee. In addition to the bag ban, the city has undertaken a massive education campaign to help reduce plastic bag use in hopes of also reducing litter and environmental harm. After some work fine-tuning the details, the Laredo City Council passed a ban that prohibits the distribution of single-use plastic bags. At one point the measure was intended to ban single-use plastic bags, and at another time there was talk of possibly altering the measure to simply impose a $1 fee per transaction if disposable plastic bags were used. However, after discussing the options, the City Council was able to settle on a plan. Effective April 30, 2015 paper and plastic disposable bags will be banned at retail establishments in Laredo. 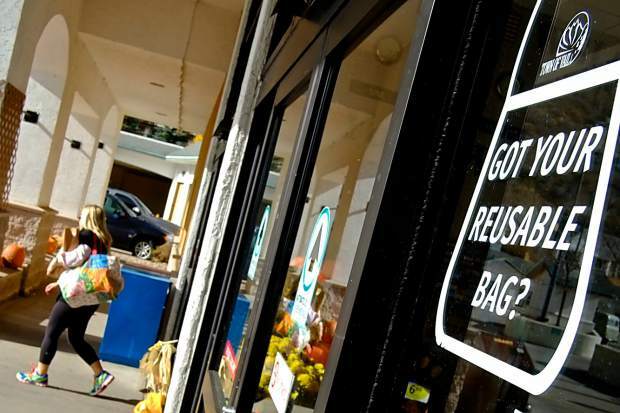 The Vail Town Council approved a single-use plastic bag ban in a very close vote. The measure also levies a 10-cent fee on paper bags and is set to take effect on August 1, 2015. In not so happy news out of Colorado, the Denver City Council officially shelved a measure that would have imposed a 5-cent fee on disposable plastic bags. The proposal grew out of a movement to reduce waste and the notion of a fee has been discussed for a while now and ultimately just never gained the support necessary to become a law. In a 20-16 vote in the Virginia Senate SB1103 was passed. If passed by the House of Delegates, this measure will allow cities and counties to pass disposable plastic bag bans or impose bag fees in Virginia. There has been discussion, mostly in the Chesapeake Bay area of regulating disposable plastic bag distribution, and this measure would ensure that could happen. The Santa Fe City Council passed a law banning disposable plastic bags thinner than 2.25 mils in a 7-1 vote. Interestingly enough, the one dissenting vote was cast by a councilmember who felt the measure should also include plastic bags thicker than 2.25 mils. This initial version of the law also mandated retailers charge 10 cents per paper bag. However, the paper bag fee aspect was dropped before the law was implemented in an effort to make it appeal to more people. The ban went into action on March 27, 2014. Almost a year later the City Council is happy with the ban, but many shoppers are simply using paper bags instead of bringing their own reusable bags. A new proposal would levy a 10-cent fee on each paper bag handed out. Did We Miss Any Plastic Bag Ban Ordinances? To learn about other efforts to reduce disposable bag use check out our bag map. Do you know of any cities or towns missing from our map? Let us know in the comments! Next Next post: Scientists Ask The Question…Is Our Food Chain Feeding Us Plastic? Custom Trade Show Bags with FREE Set Up! Making Sense of Bottled Water…Startling Stats to Impress Your Friends!